Who’s on first: Malpractice Attorney or Medical Expert Witness? 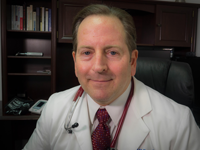 Home/Blog/Who’s on first: Malpractice Attorney or Medical Expert Witness? If you’re considering a medical malpractice lawsuit, it pays to know as much as you can about your situation. You don’t just need your own records and experience; you need an expert to help you determine whether your case is viable and what you need to win. What you may wonder is, whom do you hire first — a medical malpractice attorney or an expert witness? The answer is, you can hire either one for initial consultations. Medical malpractice attorneys can help you determine what papers you need to file and when. They have to engage in discovery, or getting information from the doctor(s) involved in your case. This information may include medical records, written information obtained through questionnaires, documents or depositions. An expert witness can help you determine the viability of your case. Later, he may take the stand during the court case and offer informed testimony, but his expertise is also important before your case is even filed. The expert can help you decide whether it’s worth filing a lawsuit or tell you what makes the case worth pursuing. The expert and attorney work together, too. The expert can help a lawyer evaluate evidence and prepare the prosecution or defense of a case. When you’re looking for a lawyer, get more than one name so you have options. Look for attorneys who handle medical malpractice cases. When you meet with the lawyer, ask how many such cases she’s handled, how many go to trial, if she has references and what the charges will be. If you consult with a medical expert witness, have him examine the facts of your case to help you determine whether you have enough cause for a lawsuit. The witness should have specialized technical knowledge that will help the attorney prepare the case. He’ll also be able to explain highly technical matters to a judge and jury to help you win. The expert witness is useful even if the case doesn’t go to court; he can help the attorney understand your case’s strengths and weaknesses, as well as potential monetary damages. Once you decide to proceed with your lawsuit, the expert witness will be invaluable to the attorney and you in determining the best way to present your case. By Edward Mallory| 2016-01-20T12:40:59+00:00	January 20th, 2016|Blog|Comments Off on Who’s on first: Malpractice Attorney or Medical Expert Witness?